Jeremy Rowland decided to put together an F-TR rifle for his eldest daughter, who enjoys competitive shooting. For his daughter, Rowland chose the .223 Rem option because it has less recoil and components are less costly than the .308 Win. 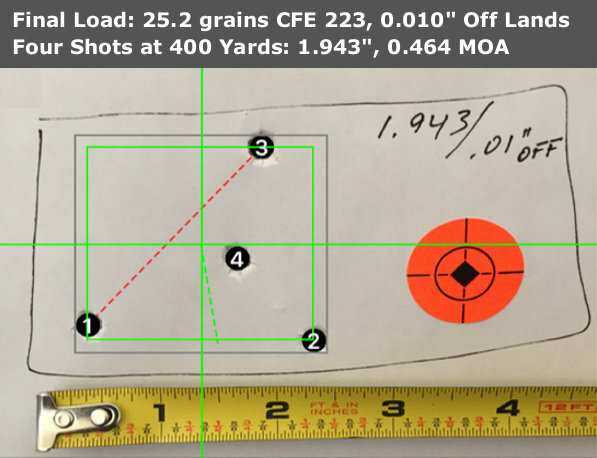 Here is Rowland’s account of how he developed a .223 Rem load. 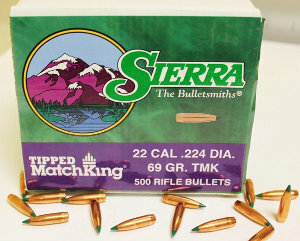 For more details (with data charts), read Jeremy’s FULL STORY on Sierra Bullets Blog. My oldest daughter has been to several matches with me, and has even competed in several, using her .243. I decided this coming season (2016), she would compete with a .223 Rem in FT/R. Looking for a good starter rifle, I settled on the Savage Axis Heavy Barrel since it has a 1:9″ twist. This would be a great little rifle for her to learn on. The rifle was shot unmodified, as it came from the factory. A Sinclair F-Class Bipod w/micro elevation adjustment was fitted to the front. Next came finding the components I wanted to use for her match loads. After spending hours and hours running numbers on JBM stability calculator as well as in my iPhone Ballistic AE app, the 69 gr Sierra Tipped MatchKing® (TMK®) looked really good. So that’s what I decided to go with. I jumped in head first and ordered a bulk pack of the Sierra 69 gr TMKs. I had settled on Hodgdon CFE 223 since it shows good velocity. I decided to go with once-fired Lake City brass with CCI BR4 primers. Next came the testing. I decided to run a ladder test (one shot per charge from min to max looking for the accuracy node). 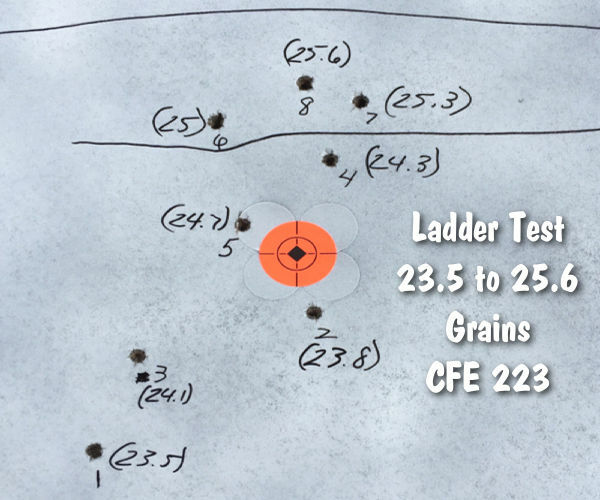 The ladder test ranged from 23.5 grains to 25.6 grains, in 0.3 grain increments. This article originally appeared in the Sierra Bullets Blog. 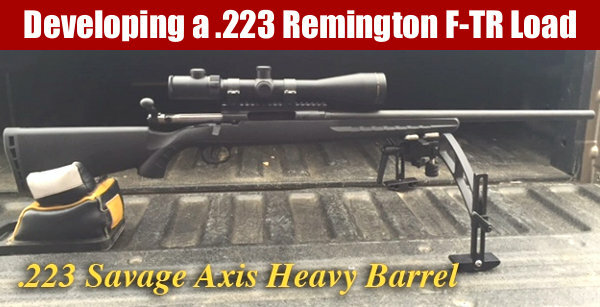 Share the post ".223 Rem for F-TR — Logical Choice for a Junior Shooter"